Take yourself back in time but with a modern twist. Nothing is more romantic than a vintage-style engagement ring. Whether you choose a geometric Art Deco or a glam mid-century modern design, a vintage engagement ring is sure to impress your loved one. 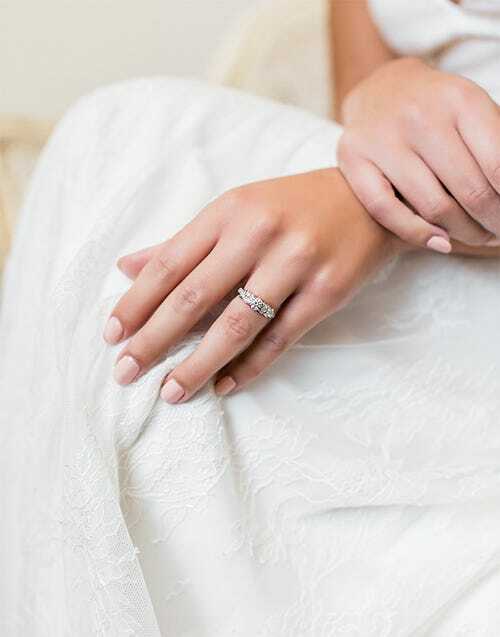 While these older designs may have been available only in antique shops in the past, modern engagement ring suppliers have analyzed and reproduced the most beautiful of these designs, revitalizing popular vintage styles that remain fresh and timeless today. No matter the cut of diamond you choose for your significant other, a vintage-style ring will complement your choice. Featuring everything from intricate bands to delicate halos, our collection of vintage rings will feature the perfect setting to highlight your stunning center stone. 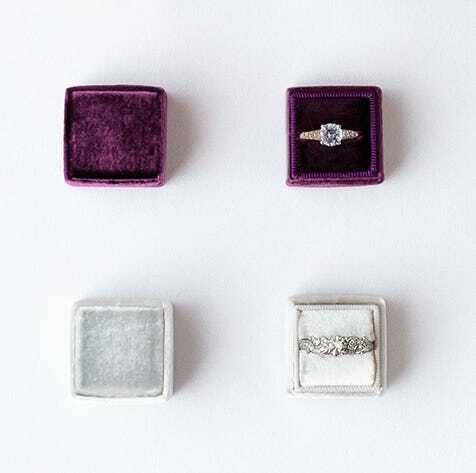 Balance Your Bling — Vintage engagement rings can be very intricate, so balance is something you should keep in mind. 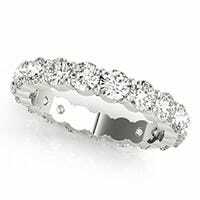 For example, if your loved one appreciates a lot of bling, feel free to match a detailed band with a striking emerald-cut or radiant-cut stone. 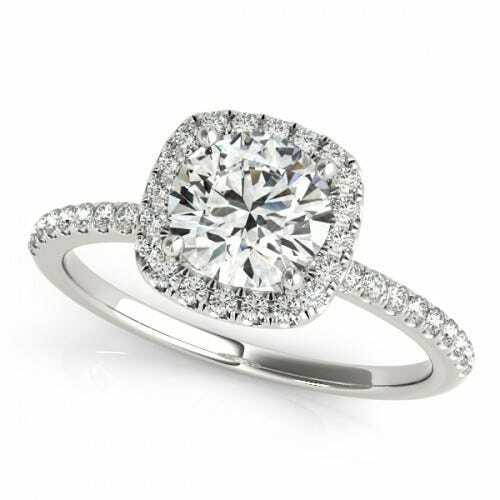 If her style is a little more subdued, try to match a simple band with a delicate round-cut or cushion-cut diamond. Gold Or Platinum? — In the past, gold was a very popular color for engagement rings, so you’ll find that many vintage rings are gold. While this is a gorgeous color, you should also consider platinum and rose gold bands. Platinum is quite strong, so a band from that metal may work best for a loved one who works with her hands. Rose gold provides a delicate, romantic color for a woman who likes an extra feminine touch. Era Considerations — If your loved one is a history buff, chances are that she has a particular era she loves. Casually review her most-watched shows or the books on her nightstand to see which time periods she likes best. If she’s a fan of Madmen, an ornate Edwardian-era ring may not be what she’s looking for. If she watches Outlander, a geometric Art Deco ring may not be her style. Contemporary diamond suppliers recreate diamonds from many eras, but most often from the Victorian to Mid-Century Modern eras. Victorian and Edwardian rings are both intricate. Decorated with exquisite foliage and floral patterns, Victorian rings are often large statement pieces. Edwardian rings return to a more refined and graceful style, but still feature stunning lace-like designs. Reflecting the roaring twenties, Art Deco rings are highly geometric. Symmetry was a staple of the Art Deco aesthetic, and the large rings nearly always reflect that. Mid-century Modern designs moved away from geometric shapes and toward more fluid designs. Engagement rings of this era began to feature many more diamonds, and bold designs were en vogue. Scarlett Johansson — A gift from ex-husband Romain Dauriac, Scarlett’s ring is an Art Deco-inspired beauty. Featuring three round diamonds on a large rectangular setting also riddled with diamonds, this ring brings some serious bling to the table. Christina Applegate —Taking a note from the Edwardian era, Christina’s ring is an elegant echo of the past. The intricate platinum ring from husband Martyn LeNoble features flowing circular designs and a large, diamond-studded band. Jessica Biel — Actress Jessica received her vintage-inspired ring from Justin Timberlake. The scrolling rope style on the sides adds to an Art Deco look, and highlights the six-carat center diamond. Olivia Wilde — An Art Deco masterpiece, Jason Sudeikis’s gift to Olivia is a unique piece of jewelry. With a center stone surrounded by a halo of stunning emeralds, this circular piece is a stand-out work of art. Mary-Kate Olsen — Olivier Sarkozy proposed to Mary-Kate with a unique vintage ring worth $81,250. According to Sotheby’s, the Mid-century Modern ring has a "four-carat European-cut center stone, plus 16 calibré-cut sapphires surrounding it and about 1.5 carats of diamonds."